It’s September, and if you’re a student, you’re probably embarking on another season packed with papers, readings and exams. With all that you have on your plate, thinking about the week-long conference you’re attending in December may be low on your list of priorities. But here are three ways you can prepare for Urbana this semester. Urbana is a time for you to receive. You can tailor your time at Urbana to include everything related to your field of study or interests. Attending topical seminars on technology, art, global issues and more is one way; engaging with your passion through mission-specified tracks like Business, Justice or Canadian Student Leaders is another. Through daily group Bible study of Revelation and optional prayer ministry, you have access to a wealth of resources that aren’t easy to find all under one roof. Urbana is a launching point that equips students to step into whatever God is calling them to. It’s your chance to be challenged and encouraged, to hear from God and become the leader he made you to be. It’s a pivotal experience that has the potential to change the direction of your life! 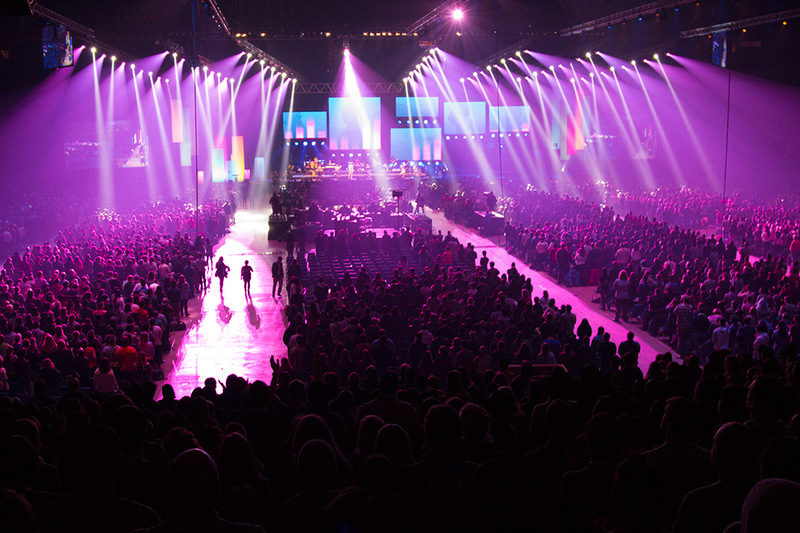 If you want more information on Urbana18’s Tracks and Seminars, click here. Attending Urbana takes a little planning, not just financially but in other ways, too. Between figuring out holiday schedules and juggling flight information, it can feel overwhelming to choose to engage in a five-day conference instead of simply relaxing and resting at home. It’s important that you think through the details, especially if you recruit a friend or mentor to talk through them with you. If finances are tight, find ways to prayerfully fundraise; consider making a list of things to pack early on and setting flight and hotel information reminders on your phone. Think through whether you want to be part of a track or not. The Canadian Student Leaders Track is a great way to be equipped for leadership on campus and after graduation. It focuses on leadership and mission in the context of serving in Canada. Details can be overwhelming, but with a little help and Jesus’ guidance, you can feel prepared and at peace when you arrive at Urbana18. 3. What Questions Will You Bring? Finally, think through what questions you’ll bring to Urbana18. Whether it’s around Revelation or what to do with your degree or whether long-term mission is right for you, it will be helpful to have questions in mind before you attend. Urbana has many moving pieces and hundreds of options are available to you. If you come up with 1-3 questions, you’ll be able to navigate the waters much more easily. If you’re not sure what questions you have, read through Revelation this semester and note what you have questions about. Write your questions down on your phone and revisit them every now and then until Urbana, to see what’s changing. Urbana is a life-changing week, and it’ll be here before you know it! If you haven’t registered yet but want to, the Early Bird Registration Price is available until November 15th. Sign up before that date and you’ll be able to save $100! Visit www.urbana.org/register for more information.